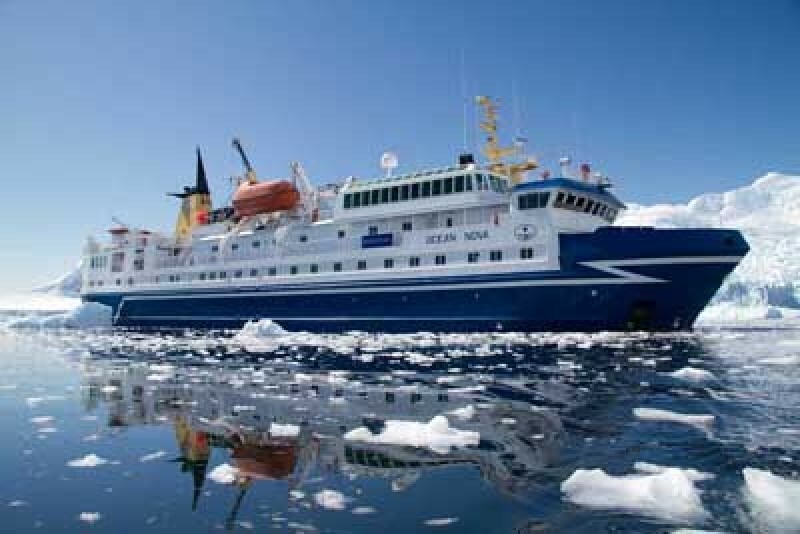 The expedition vessel Ocean Nova was built in Denmark in 1992 and in 2006 she was completely refurbished and has now a career as a small and comfortable expedition ship. 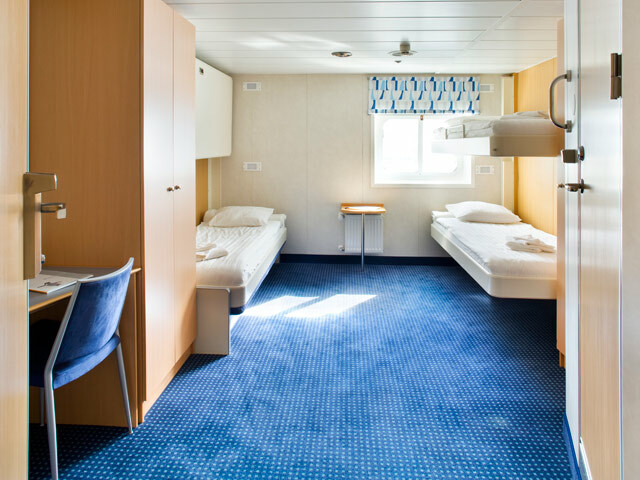 Ocean Nova takes 68 passengers in Svalbard and Antarctica in single, twin and triple cabins, all with sea-view and private facilities. 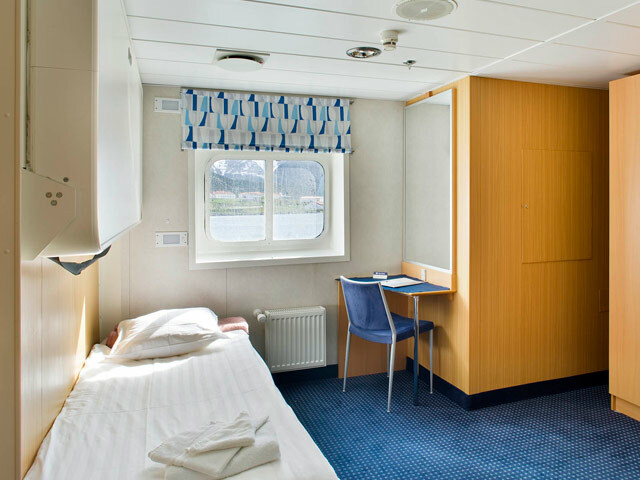 The triple cabins and some of the twin cabins on upper deck have upper and lower berths. 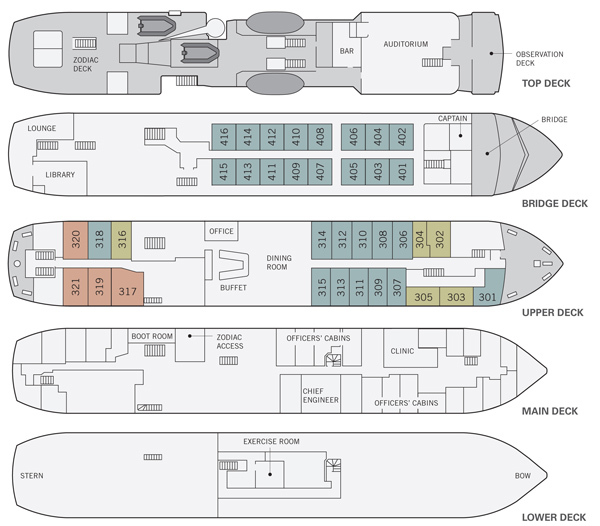 All other cabins have two lower berths. 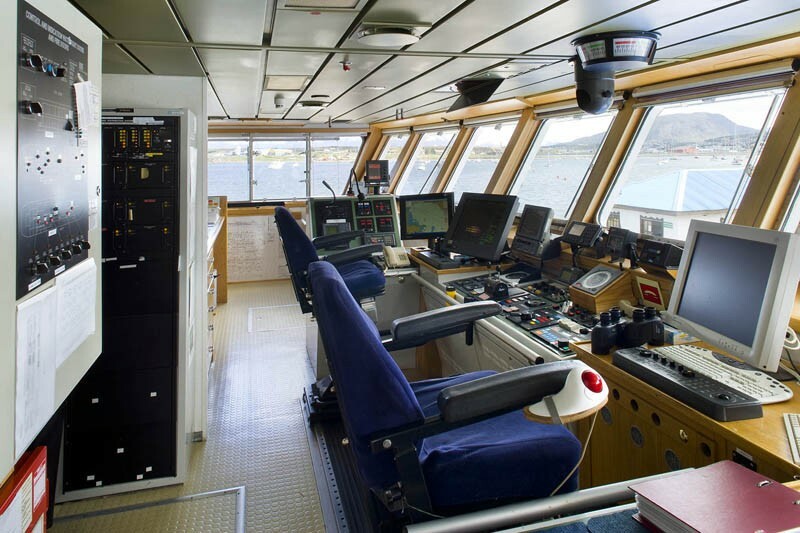 In your cabin you also find a desk with a chair and ample storage space for clothes and equipment. In the dining room you are treated to delicious meals in between landings and in the panorama lounge you can enjoy a drink with a breathtaking view of the surrounding polar landscape. This is where PolarQuest`s on board specialists entertain and educate you with lectures on the area`s flora, founa and history. 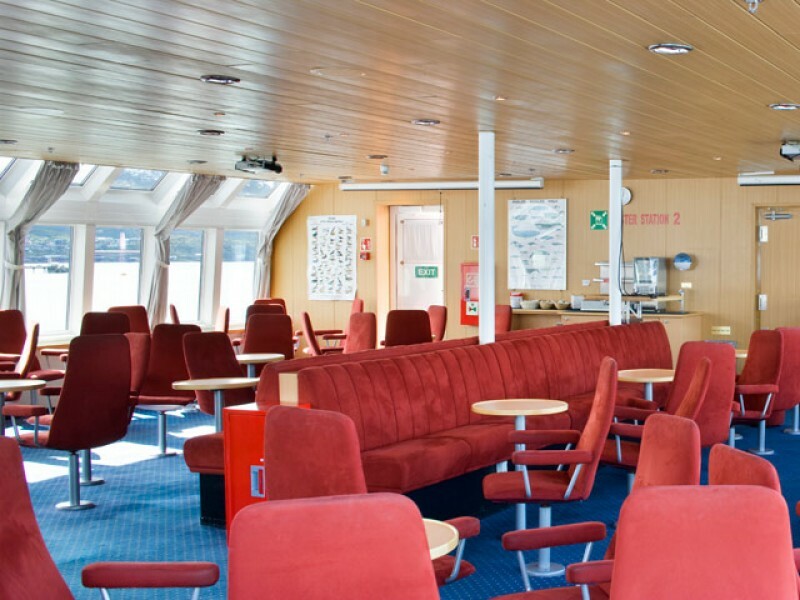 Passengers are welcome on the bridge around the clock and there is always something to see or search for from the spacious observation decks. 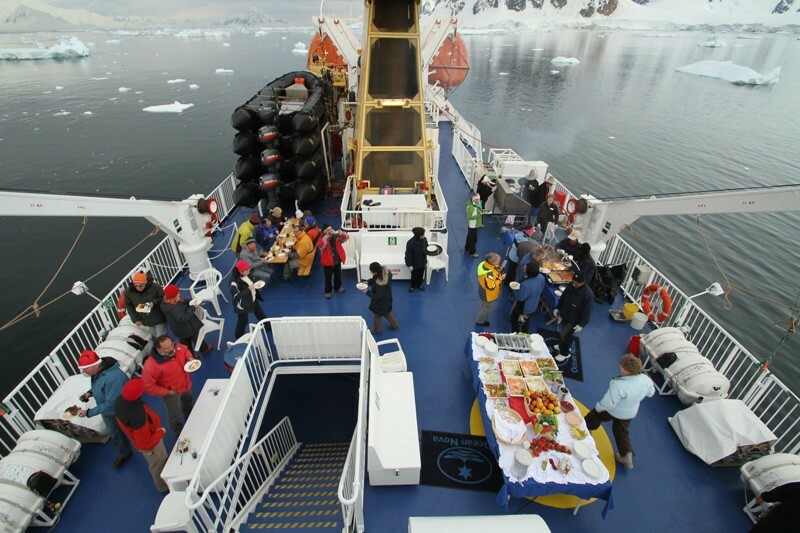 There is a friendly and informal atmosphere on board. 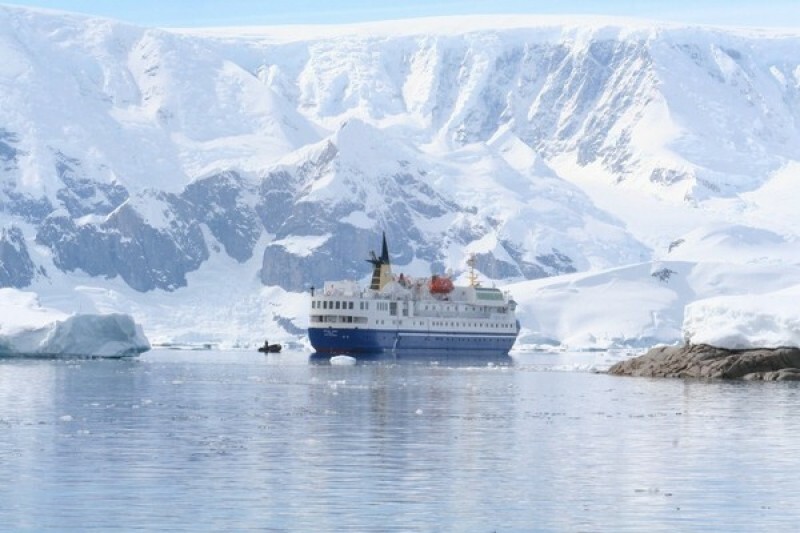 Travelling with this small expedition ship offers an entirely different experience and perspective than you can get on a larger and more conventional cruise ship. 2 lower berths and one upper berth with private facilities and window. 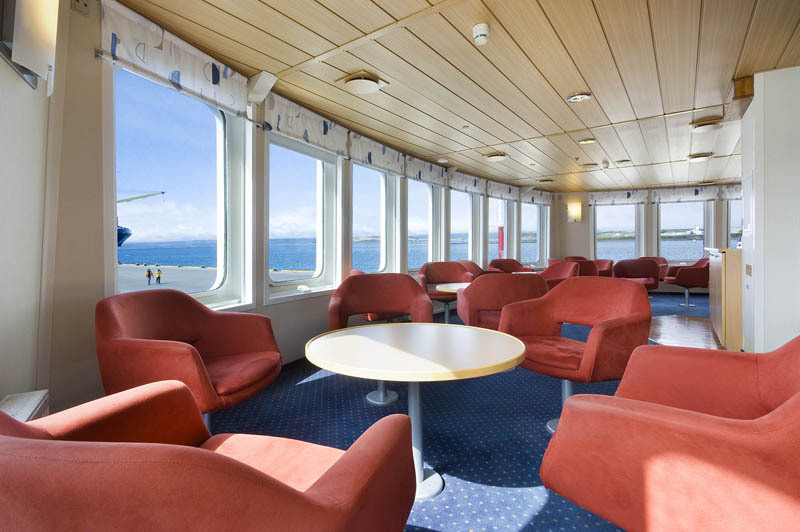 38 outside cabins, all with private facilities. 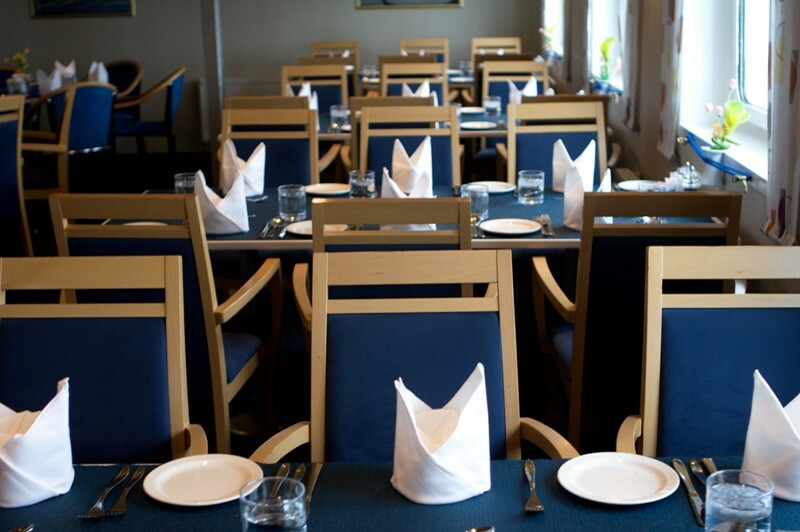 Spacious dining room with unreserved seating. Glass-enclosed observation lounge and presentation room. Lounge and bar, open late morning, afternoon and evening. 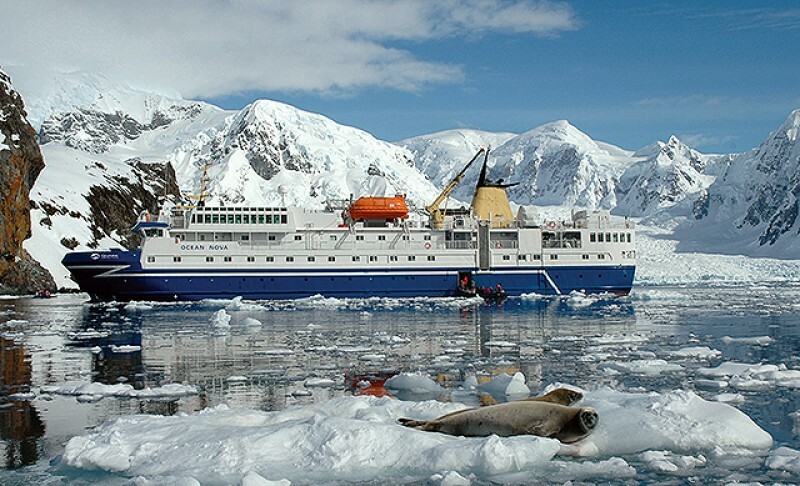 Library with collection of polar-themed books.